Built 2011-2012 by Architecture-Studio (Paris). 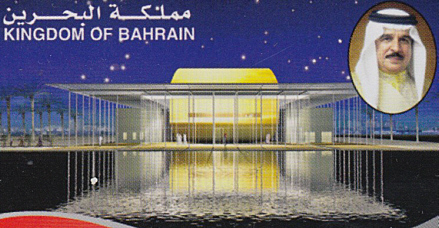 Opened 12 Nov 2012. The complex includes a main theatre hall (1001 seats) and a studio theatre (150 seats). 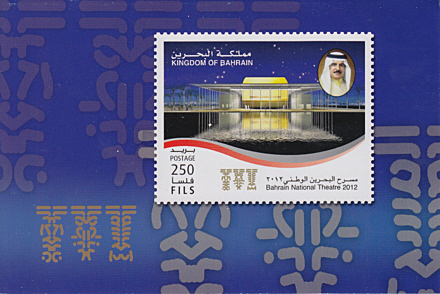 Front Text: on picture of stamp: "Kingfom of Bahrain, Bahrain National Theatre 2012"
Reverse Text: "Commemorative Stamps On the Occasion of the Inauguration of Bahrain National Theatre 2012"